What do water fountains, public bathrooms, door handles, snack machines and vending machines have in common? If your answer is germs, then you are right. Infectious diseases can be spread by hands that are contaminated while coming into contact with germy public surfaces. When Zach Friedli became aware that hand sanitizers only kill between 45-60% of germs found in public, he decided to create a way to avoid public germs. His first prototype was created with a metal hanger and electrical tape. After several other attempts he was able to work with the 3D printing company, WhiteClouds, and produce a prototype of an amazingly effective tool that allows the user to touch public surfaces while avoiding contamination from germ covered surfaces. WhiteClouds used a Connex 500 by Stratasys—a multi-material 3D printer that is capable of a layer resolution of 16 microns, to print the prototypes. In an exclusive interview, Zach shares his experience of making his dream of a tool that makes avoiding public germs a reality. What type of documentation did you present to the designer so they could 3D print your design? How many different materials did you use in your prototype? 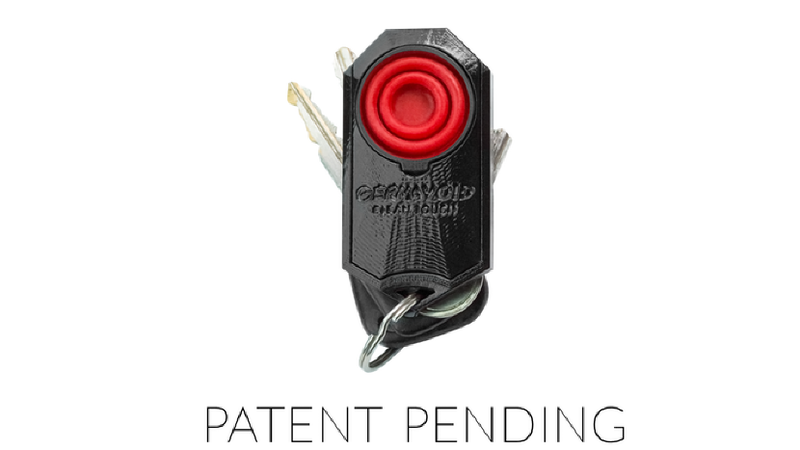 What are the advantages of 3D printing a prototype? “The biggest advantage of 3D printing for me was the ability to have a very functional prototype of my product in a matter of days. Once I tested the first prototype, I quickly had my engineer make the necessary adjustments and sent it right back to WhiteClouds. I was able to make drastic changes and improvements to each prototype weekly. This made the development process quick and smooth. Nothing can replace an accurate and functional prototype during the testing phase. To learn more about Zach Friedley’s GERMAVOID Clean Touch go to Kickstarter.com.